Alright, so some of these techniques I am disputing against are not necessarily wrong, but these tips provided below offer a new light on your cleaning routine, and an easy alternative! 1. Cleaning your blender: In the past you have disassembled the blender, taking apart the blades and take the risk cutting yourself and/or losing blender pieces. If you’ve been fighting with scrubbing your blender for years here is your resolution: after you use the blender unscrew it from it’s power port, rinse as best as you can then fill blender up with water again. Squirt a dash of dish soap, close the lid and give it a whirl! Rinse again and you are done. 2. Cleaning up pet hair: In the past you have tried keeping your pets OFF the couch (ha ha ha ha!!) or used one of those lint rollers (talk about a hassle!) to keep your furniture free of pet hair. Next time, put on a wet rubber dish washing glove and run your hands over surfaces. Pet hair, lint, dust etc.. will stick right to it! 3. Scrubbing your shower: We have all dealt with being on our hands and knees, straining our shoulders and backs trying to get into every crevice, while trying to avoid saturating your clothes and self in dirt and grime. 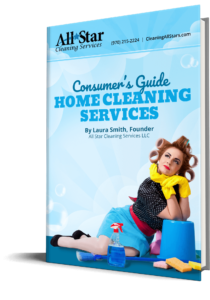 Try cleaning without fear! Strip naked and hop into the tub/shower (this has now, obviously, become a solo activity, and I do only suggest you do this in your own home!) avoid using harsh chemicals if possible (or else use with extreme caution) and enjoy a serious cleaning session! After you are done and have rinsed out the tub/shower area, hop back in, take a shower and admire all your hard work! 4. Removing stinky smells from tupperware: You’ve wasted extra time re-scrubbing tupperware that still wreaks of yesterdays dinner, by now it seems easier to just throw it away. Stop! before the last resort (typically Tupperware isn’t meant to last more than a few months, it’s always a good idea to replace them when they get too worn) try stuffing said container with crumpled up newspaper and seal with it’s lid. Stow away for a few days before discarding newspaper and re-rinsing. Is the smell still there? Most likely not! 5. Cleaning up wax spills: When enjoying candles, wax spills are bound to happen &amp; the victim is usually the fabric underneath. So what have you done in the past about this? For me this is something I haven’t thought much about when it does happen. I either leave it there (relocate candle over spill, no one will be able to tell, right?) or mindlessly pick it off, like some sort of weird project. Well, the good news is, it doesn’t have to be such puzzle when it happens. 6. Cleaning your windows: Usually you spray your windows and squeegee or wipe off with a cloth, right? And that works, but it leaves behind streaks which require more work and more energy. The first thing we’ve been doing wrong, and this definitely surprised me, is when we clean our windows on dry sunny days they dry too quickly and leave behind those dreaded streaks. Try cleaning them on a cloudy day and see the difference! Another tip: before discarding the days newspaper, crumble it up and use it as your squeegee! the ink works well as an abrasive, helping your windows get polished and sparkly. 7. Keeping your fridge fresh: I am sure you haven’t been doing it wrong, you can’t go wrong with a box of baking soda in the fridge, but try something new, store new or used coffee grounds in a bowl on a shelf in the fridge. Replace every two months for a fresh, caffeinated smell! Click the button below to get your hassle free, no obligation cleaning quote today.